Our new shallow water anchor is a manual anchor that slides through a pipe ring attached to the caprail. 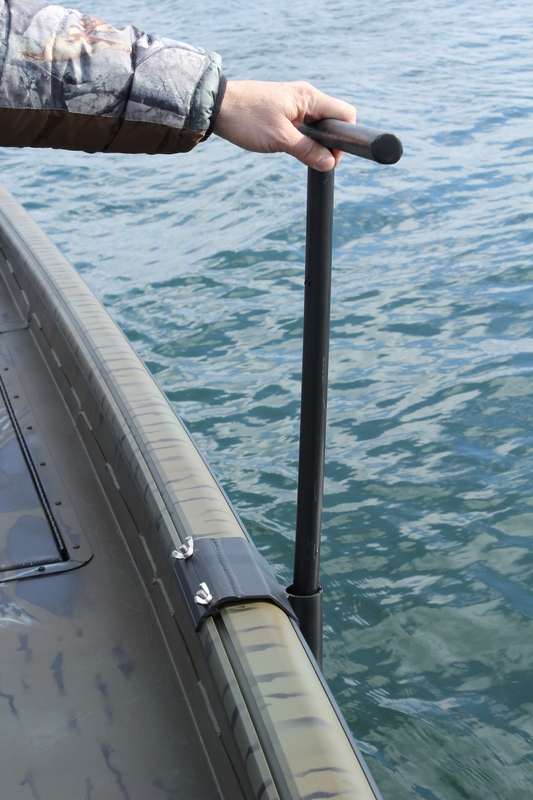 The anchor is made from .125 aluminum pipe and has an angled edge to make sticking the pole in place easier. The 10' pole can be used in depths up to 8 feet. 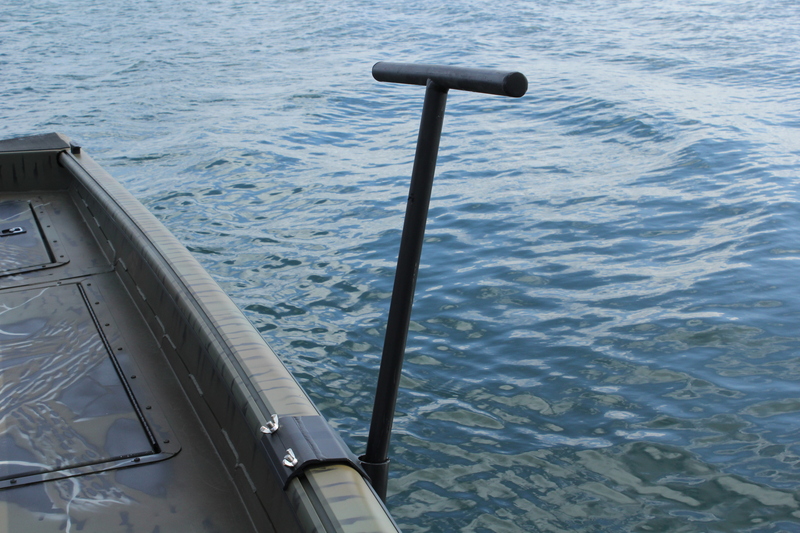 This provides a great option for quick anchoring. Only available in black.